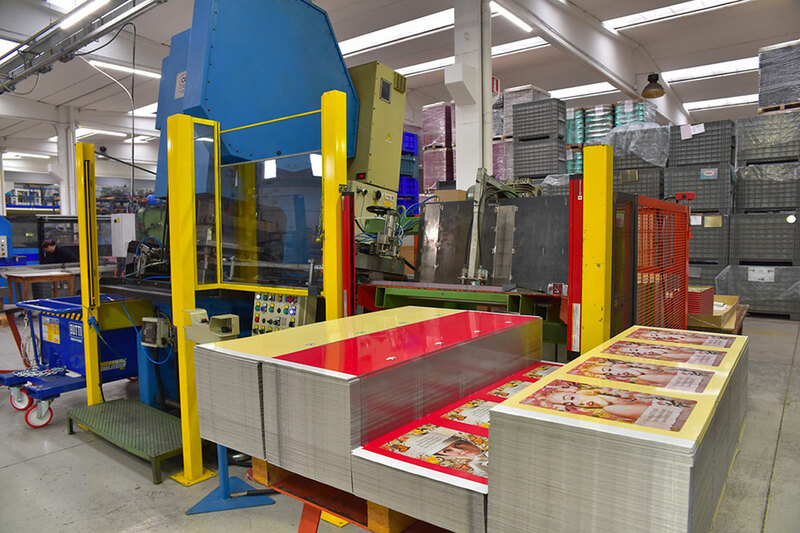 Italtin‘s tin packaging production department is composed of machines for shearing bottoms and lids supported by automatic assembly lines and a manual line. The shearing workshop is equipped with: plate deep drawing moulds, 2D / 3D incisions and embossing and special punching operations. The constants investments in innovative technologies ensure high production quality and low costs. Italtin is equipped with an internal workshop where new equipment and new formats are studied and developed. Italtin, through daily checks, ensures that all its activities comply with the strictest European laws. “Italtin takes great care and protection towards the environment through energy management and emission monitoring”.